Glenstal Abbey is home to a Benedictine religious community. The site includes the original country dwelling as well as a number of other buildings, including a chapel, library, accommodation and most recently a new reception area have been added to provide for the needs of the Community. As one part of their commitment to sustainable and environmentally aware development, the Community chose to use geothermal energy to provide heat for new buildings and to begin displacing some oil fired heating to existing buildings. Source heat for the geothermal system is taken from Chapel Lake, a small water body formed by damming a stream on the grounds. The water is pumped a distance of more than 300 metres to the plantroom and then returned to the opposite end of the lake. Since the main source of the water is runoff from the watershed the system in effect uses the solar energy absorbed by this area. The volume of the lake ensures that there is collectable energy available even during dry times or cold snaps. The geothermal system supplies up to 150 kW of heat to a combination of underfloor heating units, cast iron radiators and other emitters in several parts of the complex. 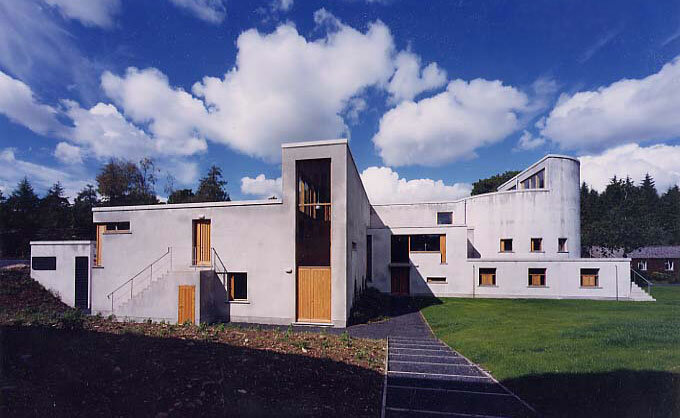 The high level of design innovation embodied in the Glenstal system was recognised by Sustainable Energy Ireland who awarded it the Public Building Thermal Energy Award 2005. Fexco’s expanding operations created the need for an additional 3,900 square metres of office space in 2004.After producing a thermally efficient building design it was clear to the design team that the main climate control problem would be maintaining comfortable working conditions during summertime. As a result of the concentration of IT equipment throughout much of the building. The design exercise also showed that for a large part of the year there would be a need for heating in some parts of the building along with a need for cooling in others. The use of conventional plant to meet this requirement could be expensive as well as inefficient. Geothermal combined heating and cooling was selected to meet the climate control needs. The system delivers a cooling output of 310 kW to meet the peak summertime cooling load. The heat demand is less than 200 kW, due to the substantial heat generation of the office equipment. The geothermal contact is achieved by the use of three pumped wells. These are operated sequentially so that no more water is pumped than is needed to meet the climate control requirements at any given moment. 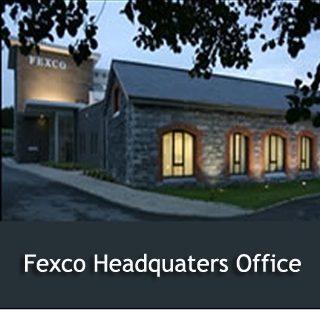 The Fexco system was for several years the largest geothermal climate control system in Ireland. 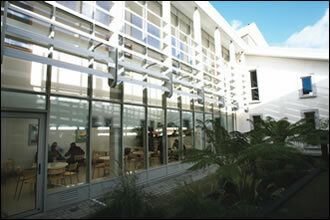 It has been in service since mid-2005 providing energy-efficient climate control to an energy-efficient building. Completion of the Glucksman building was one of the signal events of Cork’s year as European Capital of Culture 2005. The building is visually striking and has won accolades in numerous architectural and engineering competitions most notably CIBSE, both the RIAI and RIBA, and SEI/ESB awards. The 2,300 square metre building is primarily art gallery space but also provides meeting rooms and a restaurant. The design specification included display areas with very demanding climate control requirements so that rare or especially delicate works of art could be put on show. In the Irish prevailing climate, this creates a substantial demand for humidity control as well as temperature control. An approach based on geothermal heat pumps with boiler backup was proposed by the consultants. A highly innovative geothermal system called Geothermal Combined Heating and Cooling was installed. This arrangement allows the building to be provided with a variable mix of heating and cooling which can change over time in whatever way is needed to maintain the thermal demands of the building. The geothermal source energy is provided by two shallow pumped boreholes which access water from the Lee Valley aquifer. The success of this system in meeting the stringent demands of art gallery climate control may be gauged from the fact that the Glucksman Gallery won both the 2005 CIBSE Project of the Year Award and the Sustainable Energy Ireland overall Thermal Energy Award for 2005. A study carried out after the first year of operation confirmed the prediction that the energy consumption of the building was 75% below that expected for the building if fitted with a conventional boiler/chiller climate control system. The economic payback period for this system was calculated at 16 years at the design stage in 2001. This had dropped to about 7 years when it was commissioned in 2004 and is being revised downwards again in 2008. On this unique site, any building whatever its type, was going to be an unwanted intrusion on the bare and primal landform. The only acceptable building would be one you could not see. And that is not a bad way to start describing the end result. 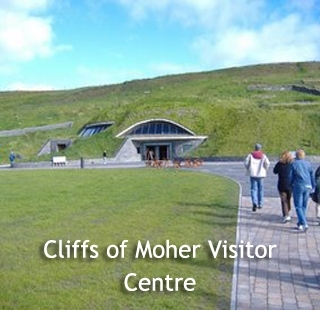 The building is underground, covered by an earth layer between four and sixteen metres in depth. Skylights are concealed by earth berms while the entrance is vaguely reminiscent of the entrance to Newgrange. Even the ventilation air intake is located hundreds of metres from the building to avoid the inevitable visual and audible impact. The heating and cooling plants to serve this structure had to be equally invisible and inaudible. A ground-coupled geothermal system would fit the bill provided that it could supply both heating and cooling…but both of them all year round. The peak demand of 150KW is for cooling, but the I.T. area requires some cooling year round, even during peak heating season. A geothermal combined heating and cooling system can provide the outputs, provided an acceptable geo source can be found. A closed loop borehole field was investigated but not pursued due to the unfavourable geological conditions. An open loop borehole was simply out of the question given the proximity of the cliffs and the near 200 metres of drilling needed to access any reliable water source. The geothermal source adopted was a highly engineered horizontal array, laid atop a clay layer about a metre below ground in a specially formulated water-permeable layer through which site runoff water is channelled. The limited space available for the array made the enhancements necessary if the system was to meet the peak loads without excessive temperature excursions. The tubing array total length is well over 5km, making it probably the largest of its type in Ireland. The startup phase during the winter of 06/07 posed a challenge for the system since the large thermal mass of the structure needed to be dried and warmed when the collector was at its coldest. Once this hurdle was cleared the system has settled back to its assigned job of modulating the internal conditions as designed. 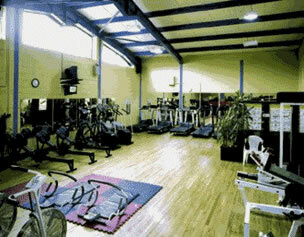 Fermoy Leisure Centre has provided a valuable civic amenity for the area for more than 20 years. It comprises a swimming pool of approx 250 square metres as well as a children’s pool, exercise area and changing/shower areas. 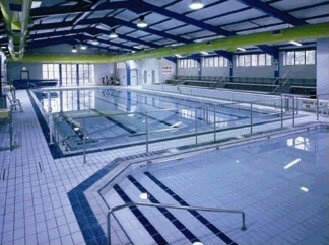 During its time in service the pool has been heated by oil and more recently by gas. In the past few years when the favourable geothermal properties of “buried valleys” became better known, the Fermoy Centre was identified as a promising site for a geothermal heating retrofit system. Geophysical studies carried out by UCC indicated good prospects for an open loop geothermal heating system. This was followed by drilling and testing of production and reinjection wells which confirmed the availability of adequate flows. A geothermal heating system providing the identified heat load of 165KW was supplied pre-assembled to the site in order to minimise downtime at the centre. Installation required the replacement of several existing plantroom components including heat exchangers, pumps and the BMS. The existing gas heating system still provides shower water heating, and remains available for backup if needed. The system was commissioned in spring 2008 and has been in continuous service since that time.